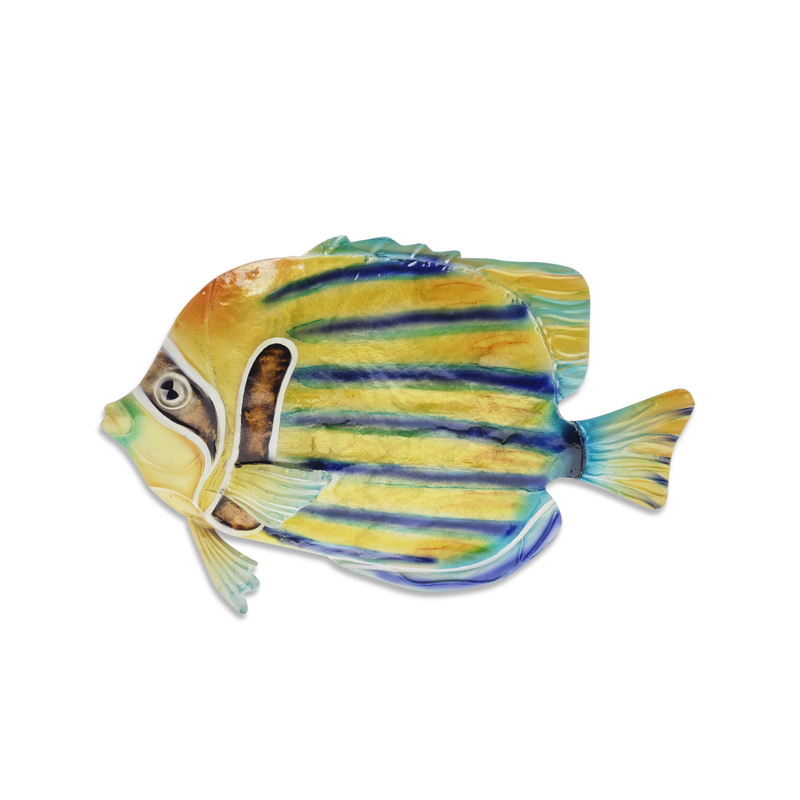 As many things in nature, the Striped Angelfish changes as it matures. This is due to alterations in its multiple dermis layers. But few things in nature are a solid color, and the artist recognized that as well. Using different techniques, up close, one can see the different shades of blue. 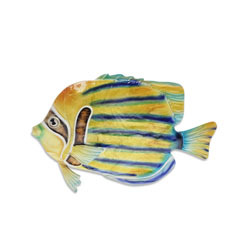 The scales of the Angelfish are enhanced by using capiz shell throughout the body of the fish, so when one hangs this fish up it will reflect and bounce the light in different ways.